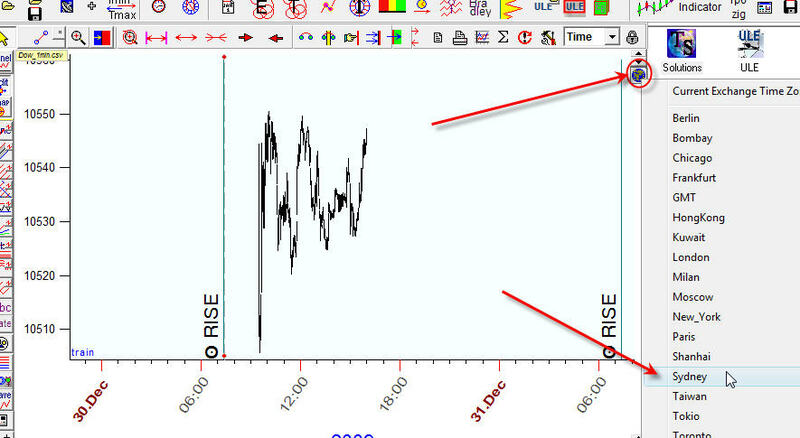 This is important because we need to know Universal Time to do the astronomical calculations properly. 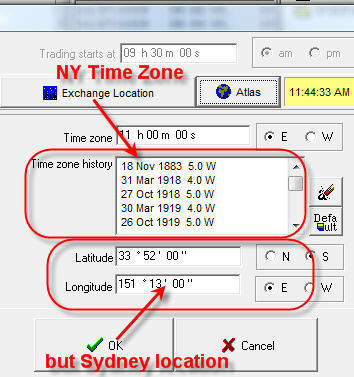 Pay attention, the program always points local time in left part of bottom information panel. 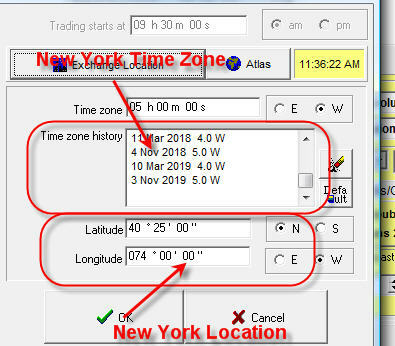 All astro based events are tied with New York location here. 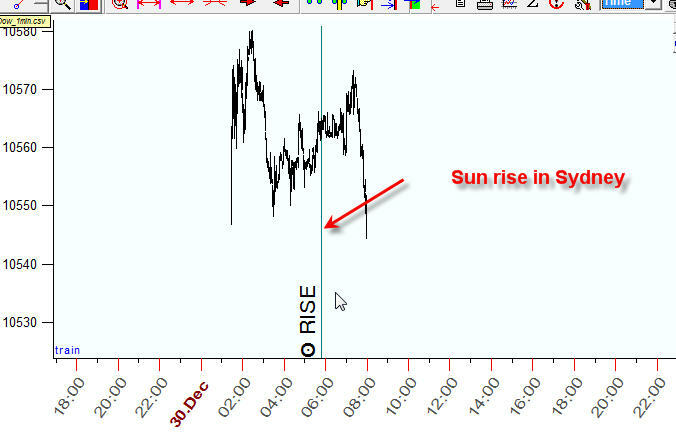 You see that the Sun rises 11:23PM. 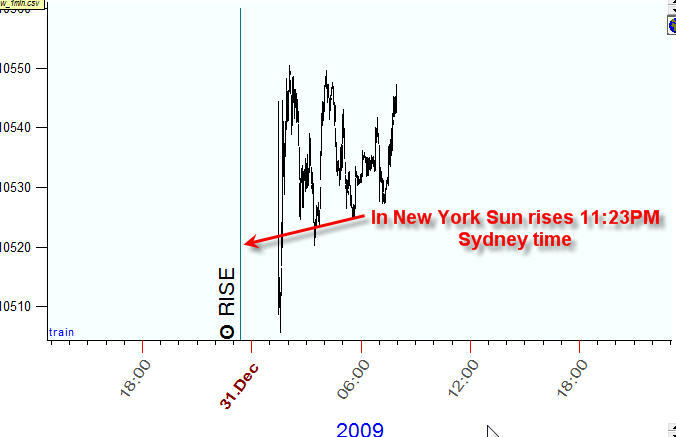 This is correct -in New York on December 30 the Sun has risen at 11:23PM of Sydney time. 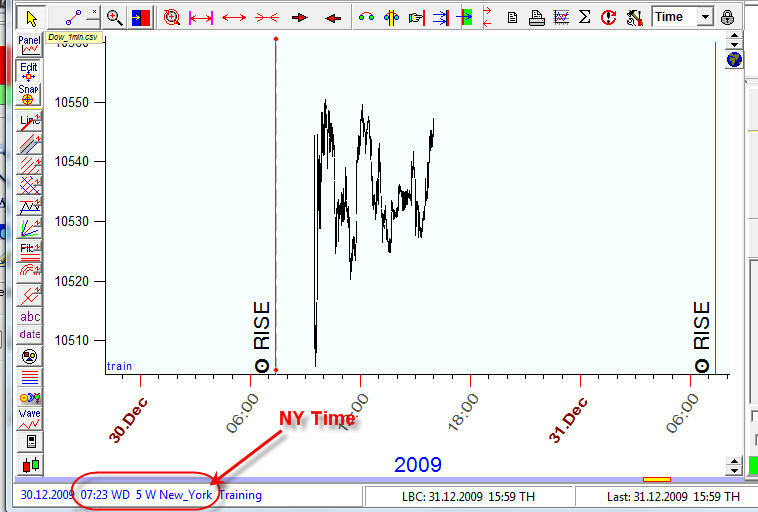 You can even create a more complicated construction: using data streaming tied to NYSE, you can tie astro events to some other location. I think this is a bit crazy idea, but it is possible to do that. 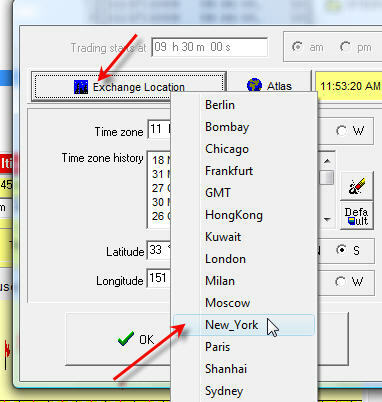 For example: as always clicking "Exchange Location" you set time changes and clicking "Atlas" button set some specific location.